You see my point. Yes, this weekend I was fortunate enough to take a trip to New York City which I am usually able to do at least once a year. The occasion? Visiting my dad (he lives there), visiting my friend and her adorbs 6-week old baby (she lives there) and going to my cousins baby shower (she lives in NJ). Basically I jam packed a lot into 3 days and it was pretty sublime. Here's my recap of the weekend (from my iPhone). Note that these photos are also in no particular order...apparently "out of order" is the theme of this post. 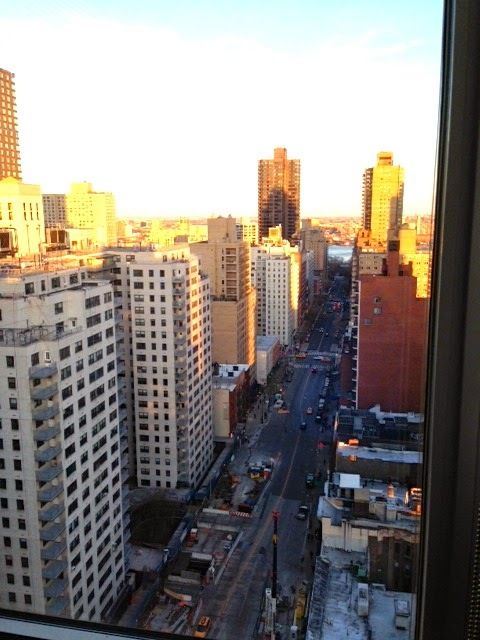 View from my pops apartment in the Upper East Side. Not too shabby. Dad welcomed me with an Italian lunch at a local restaurant around the corner from his apartment, Antonucci. I just love how NYC is filled with little nieghborhood treasures. Oh the bread...I could write an entire post about the bread in NYC, specifically the crustiness perfect for dipping into olive oil, sauce or butter. 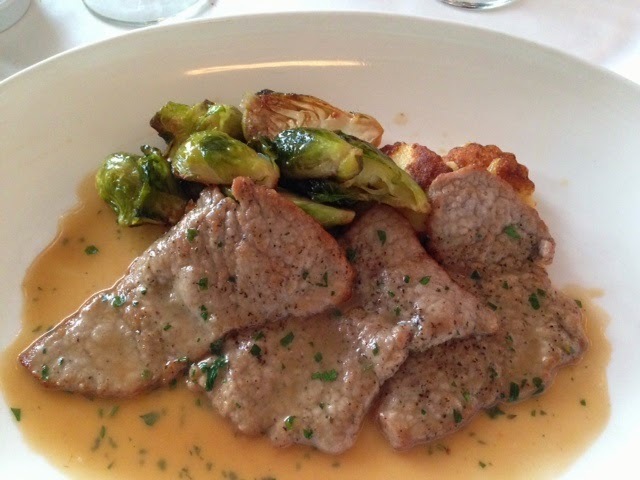 For my main course I had veal scallopini with gnocchi and brussel sprouts (remember, this is lunch...totally normal to have several courses for lunch on a Thursday). Let's just say I don't like brussel sprouts but they were perfectly carmalized and delicious. And the veal? Fuhgeddaboudit. For dessert (again, yes, dessert for lunch on Thursday) I had an excellent tiramisu with the most adorable presentation. 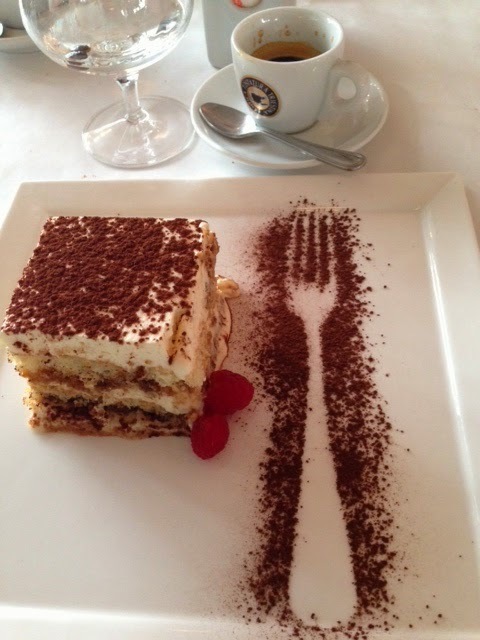 Don't you love the fork imprint in the espresso powder? 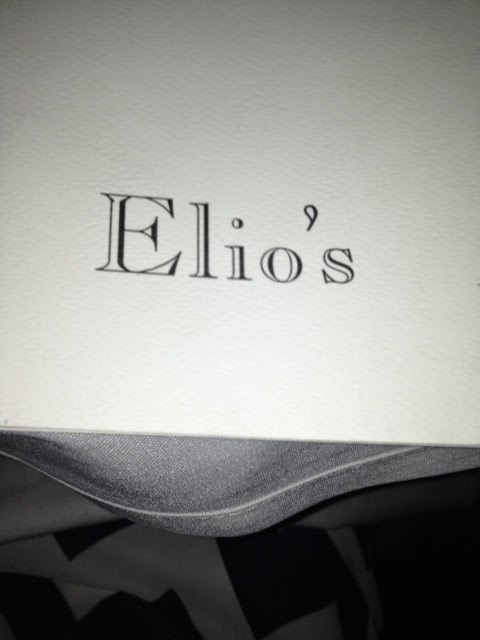 In other Italian restaurant NYC news, my dad treated myself and my friends to a delicious dinner at his favorite spot Elio's in the Upper East Side. The food was most excellent there as well. I was hoping to see Tom Selleck as he apparently has a special booth there, but he wasn't there. Fortunately my trip did not go celebrity-free as I walked past Julianne Moore (pretty, skinny and carrying a Barneys bag) and Michael C. Hall from Dexter (taller than I expected and quite good looking). 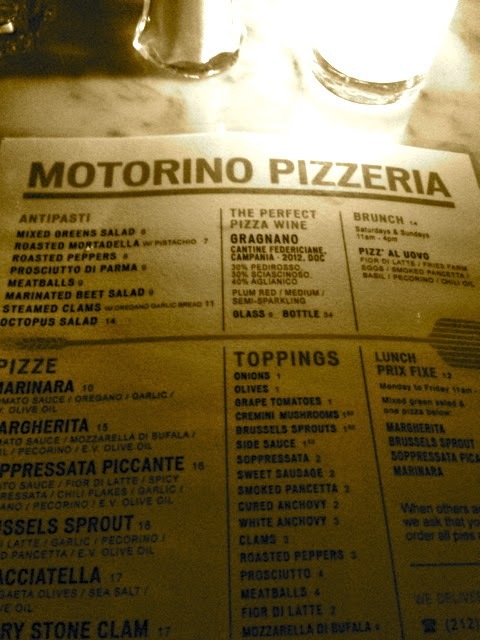 I also had delicious pizza at an East Village hotspot, Motorino. A short wait but completely worth it. 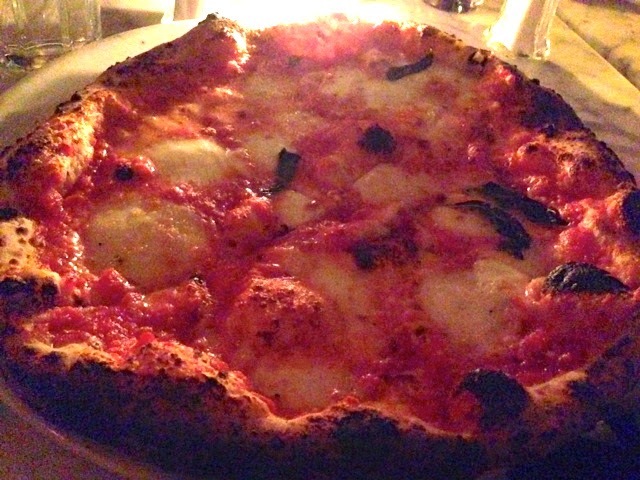 Good pizza is a rarity to find down South, don't even get me started. So we've covered Italian restaurants and pizza, the only logical topic to follow is bagels. Let's just say that I don't even eat bagels because if it's not good why waste the one million calories, right? I had 2 bagels while I was in NYC and they were legendary. 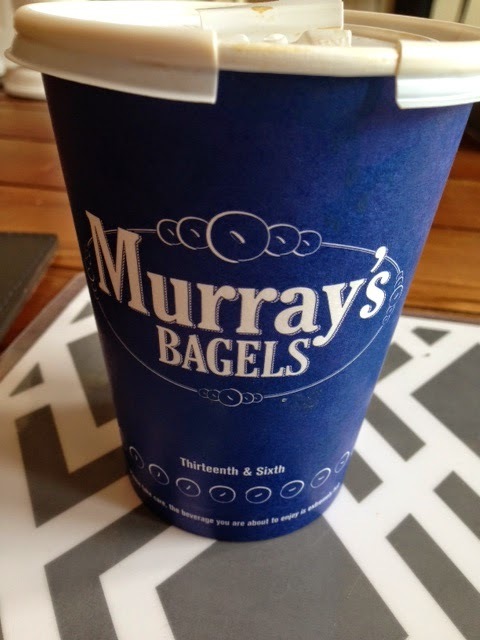 First bagel was in the West Village at Murray's where they literally yelled at me for ordering wrong a la The Soup Nazi from Seinfeld. Who cares, it was carb-licious and worth a scolding. Coffee pic below, clearly I had already scarfed down the bagel. 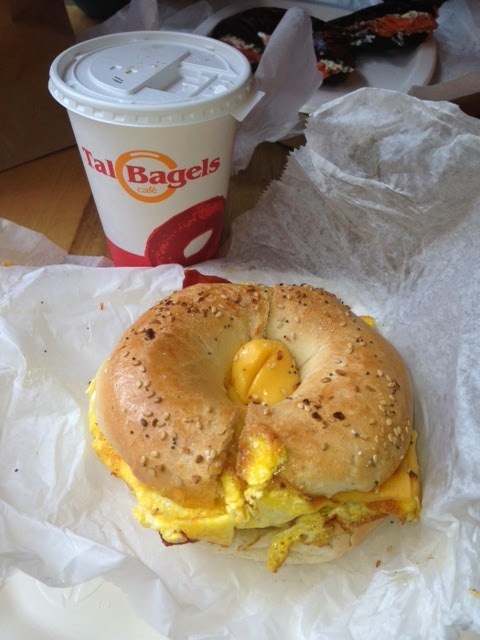 My second bagel of the trip was from Tal Bagels and was also worth every calorie. My bagel of choice: Everything Bagel with bacon, egg and cheese. Obv. 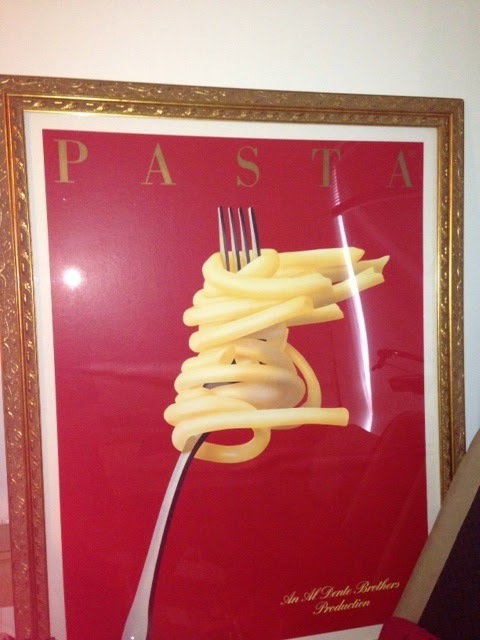 If you have any question as to why my main focus in life is food, please see exhibit a below - giant pasta painting on my dads wall. It's literally life size. Now on to family and friends. 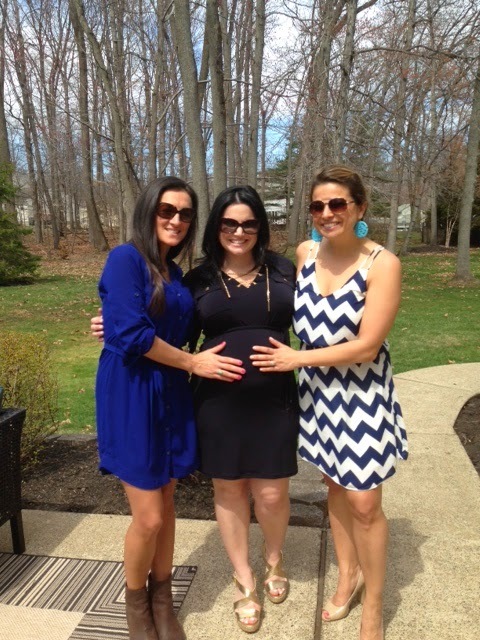 As I mentioned, one of the reasons I came to NY was to see one of my BFFs who just had a baby. 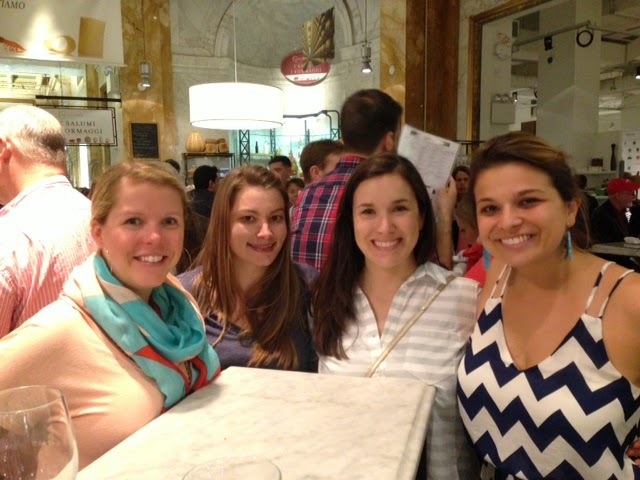 Here we are at Eataly, my favorite NYC tourist trap (shocking, I know). 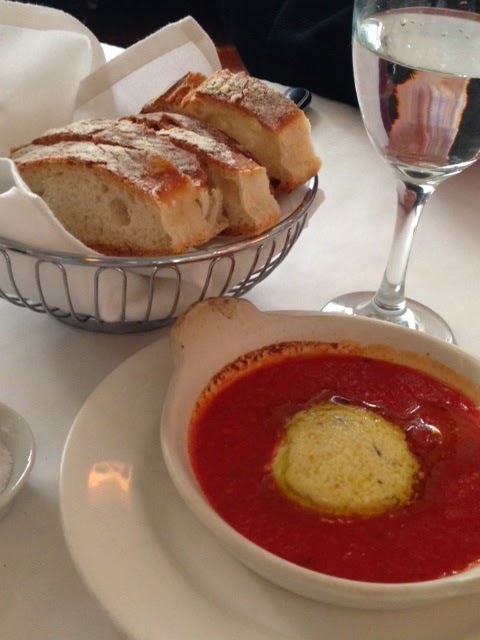 You can see my previous post on Eataly HERE to learn why I love it so very much. 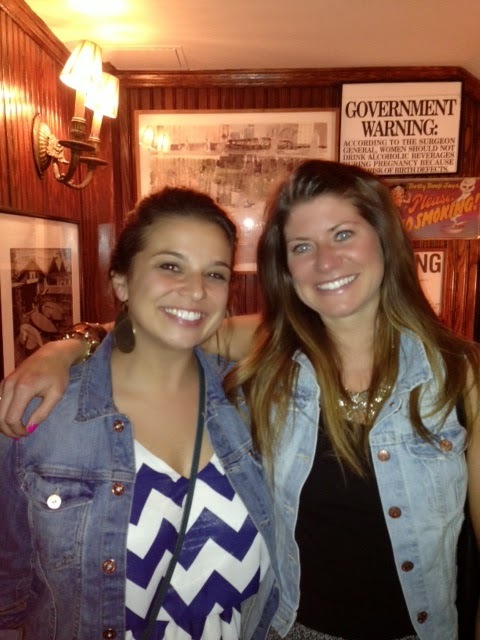 After many NY visits and attempts, I finally connected with my middle school BFF who I haven't seen in literally 10 years. Ashley and I didn't miss a beat and talked a mile a minute to catch up on 10 years over Prosecco. 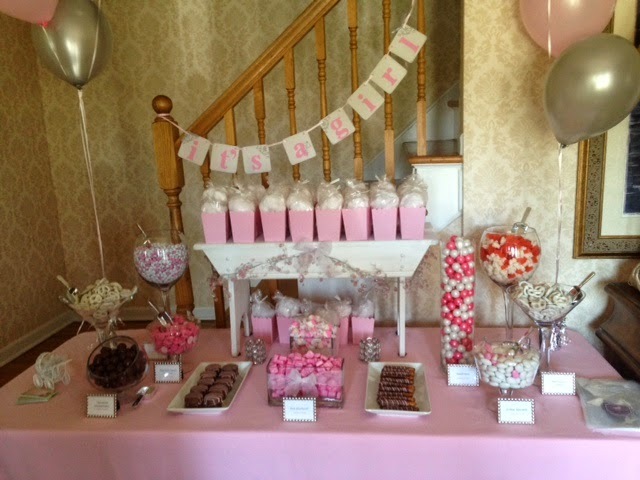 My cousin Theresa (you can read about her wedding HERE) is having a baby girl in July and I spent time in NJ for her baby shower. It's always fun to see my family to catch up for happy occasions! One of the other wonderful things to do in NYC (out of the millions of wonderful things to do) is to see a Broadway show. 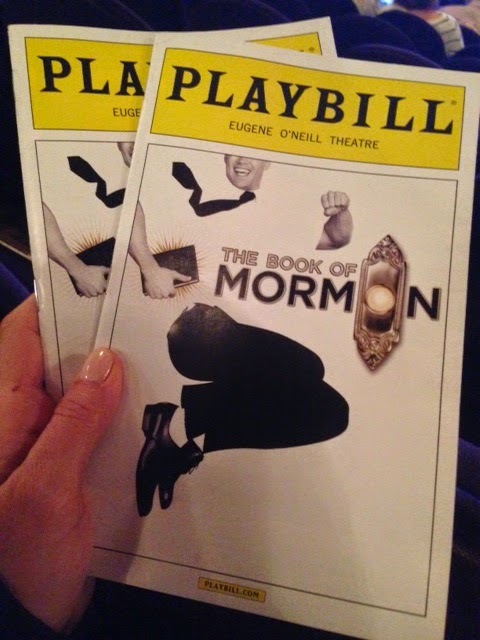 After all the talk about Book of Mormon, I knew I wanted to see it so my dad got us tickets. The term gut-busting laughter comes to mind. This show is not for the faint of heart or the easily offended, but this musical was freaking hilarious. See it if you get the chance. So that's it! A jam-packed, food-filled jaunt to the Big Apple! I hope you enjoyed the view from my iPhone!